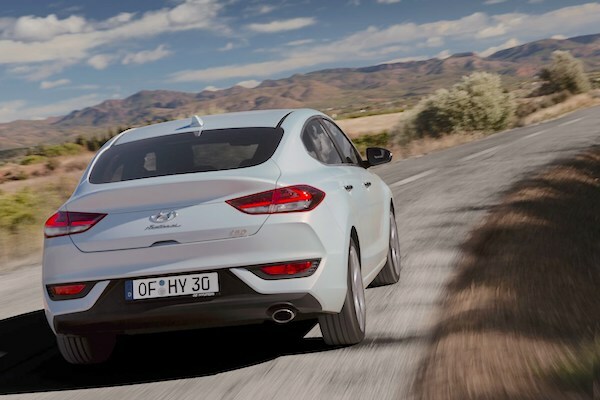 The Hyundai i30 is up 486% year-on-year to #2 this month in Austria. Helped by a solid dose of non WLTP-compliant stock clearing as is the case in most of the European Union this month, the Austrian new car market soars 31.3% year-on-year to 34.227 registrations, resulting in a YTD volume now up 77% to 258.764. Volkswagen edges up just 4% to a weak 12.9% share vs. 17.2% so far this year, but Hyundai (+156%), Fiat (+111%), Renault (+55%) and Seat (+38%) all beat the market with artificial surges. Further down, KTM (+2300%), Jaguar (+230%), Suzuki (+202%), Jeep (+154%), Ssangyong (+133%), Subaru (+114%), Land Rover (+89%) and Kia (+80%) also play the pre-WLTP game due to their lack of preparation for the emissions rule change. The VW Golf (-42%) remains the most popular nameplate in the country but freefalls this month. It is followed by the Hyundai i30 (+486%), VW Tiguan (-2%) and Mazda3 (+215%) with the Toyota C-HR (+522%), Hyundai ix20 (+471%), Mitsubishi ASX (+316%) and Fiat Tipo (+158%) also showing inflated pre-WLTP registrations. The VW T-Roc (#15) still tops recent launches but drops 8 spots on July, ahead of the Seat Arona (#17) also down 8, the Citroen C3 Aircross (#45) up 17 and the Skoda Karoq (#48) down 26. Full August 2018 Top 50 All-brands and Top 310 All-models below.